After months of preparation, the 22nd edition of the Ghana International Trade Fair is set to come off from February 28th to 7th March 2018, at the Trade Fair Site La, Accra. The trade show is expected to host all 216 districts across the country to showcase indigenous products and services as well as network with foreign partners. As the event has not taken place for the past two years, the 22nd trade fair will be taking a new dimension with special activities outlined for each day. These activities are slated to treat patrons to a memorable event and give them value for money. Among activities lined up include: Regional Day Celebrations with One District One Factory, Trade Fair through the Years/ DJ Night, Beer & Music Fest, Country Day Celebration with Embassies/ High Commission, Ntoma Dinner Dance, One Ghana Concert, CEO Cook Out Contest and many more. This year's fair is hinged on government's One District One Factory policy which seeks to enhance at least one economically viable enterprise in each of the Districts of Ghana. The policy is meant to enhance economic potentials, create import substitutes, create products for exports, check rural-urban migration and create jobs in each District. 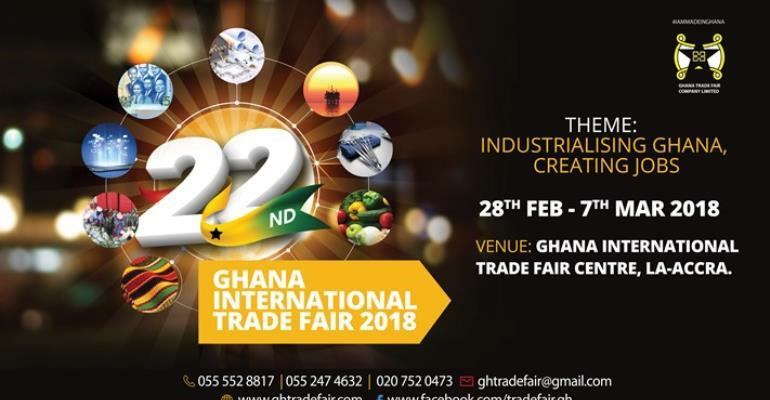 The event, which is being organized by the Ghana Trade Fair Company, will offer an opportunity for exhibitors to introduce their brands and products to emerging and existing companies currently enrolled in the 216-district industrialization programme.